HARRISBURG, Pa., USA – TE Connectivity (TE), a world leader in connectivity and sensors, introduces two new product series to their ALCOSWITCH DIP switch product portfolio. 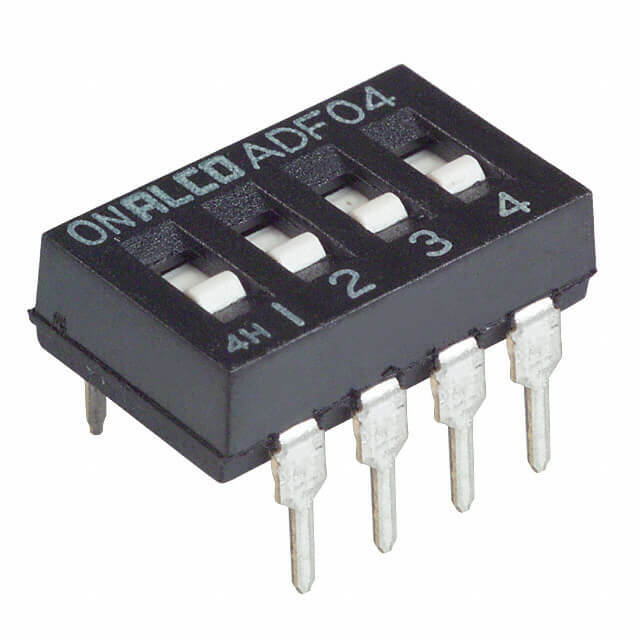 The ALCOSWITCH DIP switch EDS/EDSP and TDS series are designed for streamlined manufacturing with full surface mount products and are available with a tape seal for quick pick and place assembly. Both series are available with gold contact plating enabling high reliability and corrosion resistance. Applications include industrial and automated control boards, fire and security systems, thermostats, elevator/escalator, and telecommunication devices. TE’s ALCOSWITCH DIP switch EDS and EDSP series are designed as a space-saving switch solution through an end-stackable design that allows for large position counts without sacrificing centerline spacing. Switches in both series are available in standard “lever-style” actuators and “piano-style” actuators, both flush and extended versions. TE’s ALCOSWITCH DIP switch TDS series is designed for unique coding where the tri-state configuration of each position allows for more advanced address setting on the DIP switch, thus providing more security in the application. The TDS series is available in both flush and extended actuator versions.